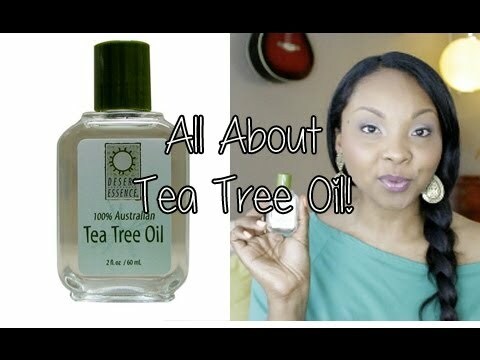 Tea tree oil is perhaps the most versatile of all essential oils. Its uses range from everything to disinfecting your home and laundry, caring for skin and hair and removing ticks. While most oils have a single property that makes them beneficial, tea tree essential oil has many benefits, meaning that it can effectively be used in a variety of situations, and be effective in most cases. In rural areas of America, tea tree oil is best known for its properties of repelling insects and relieving swelling and redness associated with insect bites. It can be used before going outdoors as an insect repellent or it can be used topically on any bites to relieve itching and to stop the bite from swelling and becoming red and irritated. Tea tree is particularly effective on mosquito bites as well as ticks. It will not only act to deter the tick with its insect repellent properties, it will also provide disinfectant and antibacterial properties. It should be pointed out that Tea Tree oil like all essential oils, should be used with caution due to any allergic reactions. If you are going to use tea tree essential oil, especially to treat open skin, you should do a skin test days before you start using it extensively in order to ensure that you do not have any allergic reaction to the oil. If you are allergic, putting it on mosquito bites or other open areas of skin will cause even more irritation than a simple topical application will cause. Essential oils should always be treated with care because of their strength and potency. It is because essential oils are so potent, that makes them so effective, but it also means that they have to be used with care in order to keep their use safe. Tea tree oil also has many other uses around the home, such as deodorizing and keeping laundry fresh. Tea tree oil is one of the few oils that has a truly �medicinal� property, in that it is not only medically disinfecting but also antibacterial and anti fungal. It is for these reasons that makes this oil a popular choice for treating things like athlete�s foot and open sores. The best way to apply tea tree oil for these purposes is to dilute them in a carrier oil and massage them into the affected areas of skin. You can keep laundry fresh and deodorized by adding a few drops of tea tree to each load of laundry. Although tea tree essential oil has quite an unpleasant smell right out of the bottle, once it has been diluted, it's effect is quite refreshing and not at all unpleasant. It can be diluted in a carrier oil, or by using only a few drops in a load of laundry, a bath, or in a room spray.